Reason for Hindus worshipping idols have been explained in many scriptures and by enlightened swamijis. Here is one explanation given by Swami Tattvavidananda Saraswati. 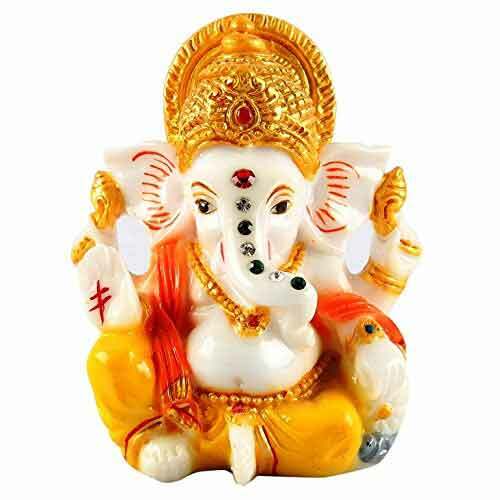 Many people say that Hindus worship idols. I would like to differ with that kind of a description. We do not worship idols; we worship Ishvara, which is the Godhead. The Godhead, Ishvara, has essentially no form. Ishvara is formless, and not limited in time and space. Hence Ishvara can manifest in the framework of time/space as any form and every form. But the human mind being what it is, functions within the framework of space and time. It can therefore relate to forms and names alone. And hence at least in the beginning of religiosity and also spirituality, the human being needs a form to relate to Ishvara. And he can choose any form because there is no superiority of one form over another. Since every form is the manifestation of the formless Lord, the choice is left to the devotee. The devotee can choose any one of the myriad of forms available. He can then worship or relate to Isvara, he can propitiate the Godhead through that form. When the devotee offers a flower to an idol, it appears to an outsider that he is offering a flower to a piece of stone. But the devotee has a clear understanding that he is offering a flower to Isvara. And the idol helps him to gain the Bhagavad akara or the particular mind modification, in which the mind is filled with the bhavana or the devotion to Isvara. Therefore the form serves a very limited purpose of fixing Ishwara in the mind. Afterwards it is the mind which relates to the Isvara as it understands Him. Therefore the idol is simply an intermediary step.